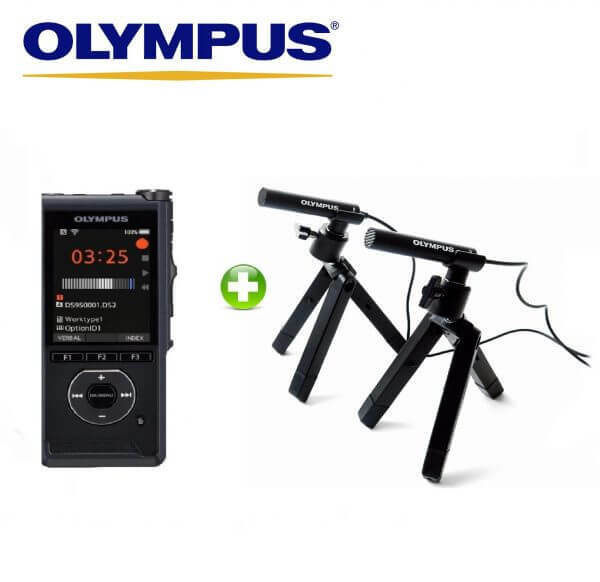 Olympus DS-9500 digital voice recorder & Olympus ME-30W microphone set bundle, for recording focus groups, meetings and interviews – the premium option. The comprehensive digital recording solution for focus groups and conferences – this bundle provides outstanding value for quality digital recording and reproduction. The Olympus DS-9500 is the brand new digital dictation device from Olympus; functional and easy to set up, this digital audio recorder is packed with premium features and intuitive controls. The DS-9500 digital audio recorder is easily manageable, secure, and absolutely mobile – the ideal device for wherever the job might take you. 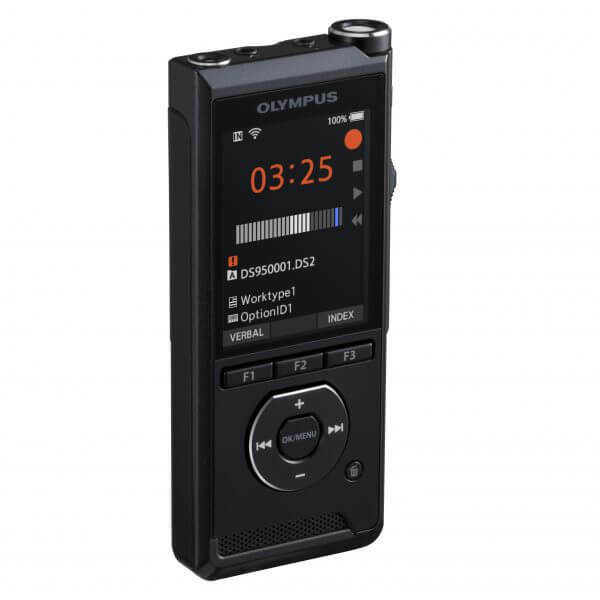 The DS-9500 features a 6cm full colour LCD screen with white LED backlight, dual SD and microSD card slots and can record interviews and meetings in WAV, MP3, DSS, and DSS Pro recording formats. The device comes with 2GB of internal storage, as well as a SD/SDHC card slot for up to 32GB of further storage, and is powered by a single rechargeable Li-ion battery which gives 9.5 hours of recording on a full charge. The battery is charged via USB. 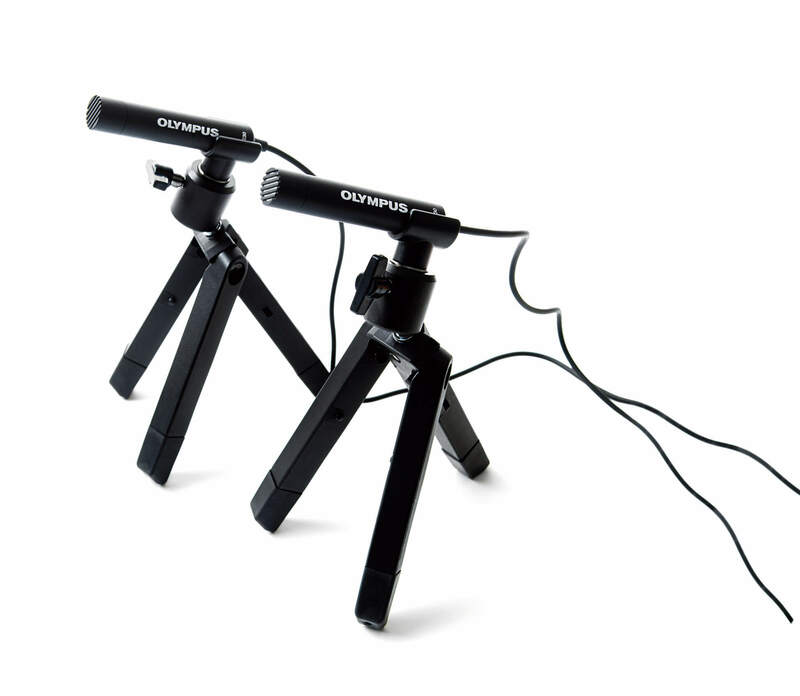 The Olympus ME-30W microphone set has a greater frequency bandwidth giving optimum coverage for recording quality audio in large settings, especially for focus groups and conferences so you’ll never miss a contribution – no matter where the speakers are sitting. Click to find out more information on the Olympus DS-9500 digital voice recorder and the ME-30W two channel microphone set.